Goodies – time for some more test building…. I had a delivery at work which was rather more interesting than the average box of lease documents I usually get…………it looked like this. There are a number of items in this, some parts for some locos I have underway and an attempt to adjust the ECJS 6 wheeled bogies but the key goodies in this are a MR 6 wheeled full brake (to dia 530) and an HR bogie full brake (to dia 51). So all I need is some time to do some more testing building………….. 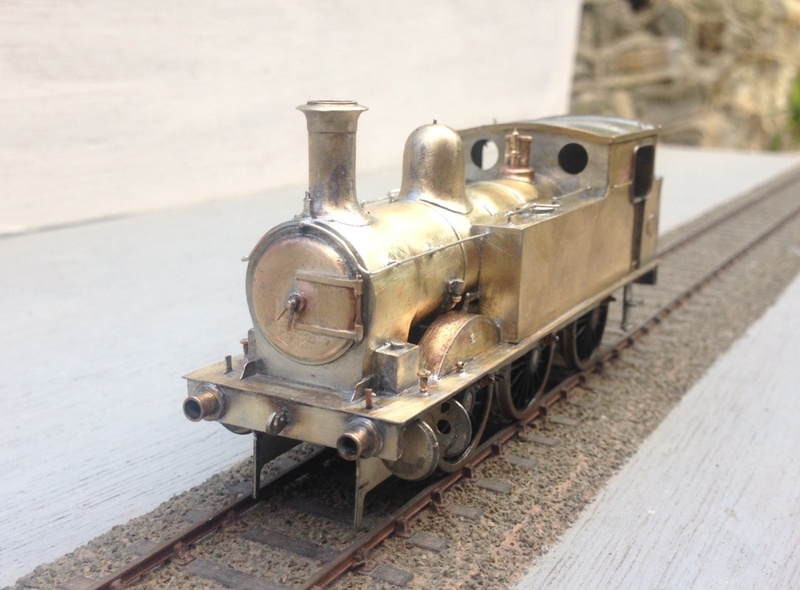 Going Long…….Part 1; the Underframe. In comparison to the coaches that I use on Portchullin, most coaches from the 1920s (my chosen period for Glenmutchkin) are shorter and in many cases, even without considering the six wheeled vehicles, a lot shorter. This was driven by the technology and in particular the materials available to the railways of the time. 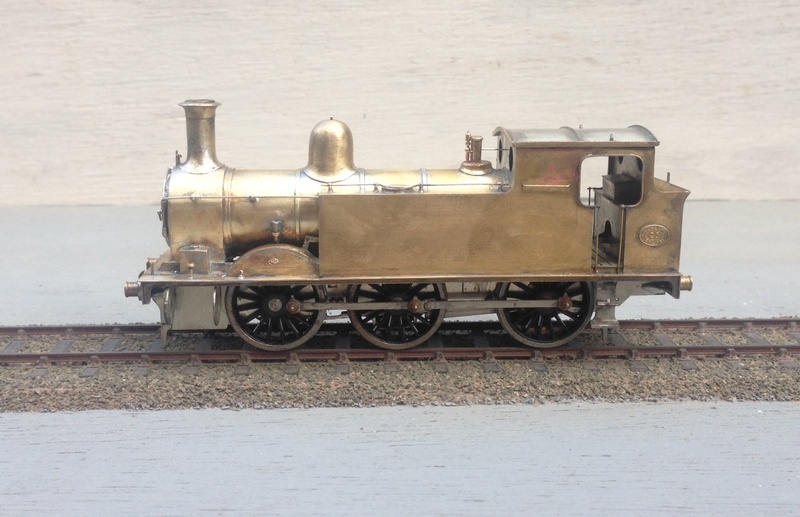 There were exceptions though, and my present build is dealing with one of these – an East Coast Joint Stock 12 wheeler. In the early 1890’s, the journey north was all about speed and culminated in the Railway Races to the North where the rival east and west coast companies competed to get their services to Aberdeen first. This came to an abrupt end in July 1896 when a west coast train took curves too fast at Preston and left the rails. Although the loss of life was relatively limited (for the time), excessive speed as a result of the desire to “speed to the north” was firmly blamed. As a result, the competing companies agreed no longer to race each other and instead sought to compete on the basis of the quality of their service and the luxury of their trains. One product of this competition were some really fine 12 wheel coaches built for the East Cost Joint Stock Company (which was a joint company with the GNR, NER & NB contributing to the cost for trans-company trains). Built from 1896 onwards, these were several different lengths (this particular example was 66’11″) but all were long, seeking to use length and mass to iron out any track irregularity. 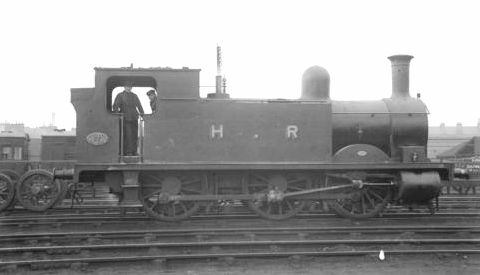 To support this length of coach, six wheeled bogies were used, although these were rather infant in their design and used big transverse leaf springs as bolsters. In addition to being really characteristic and obvious – so they need to be modelled – I suspect they gave a somewhat bouncy ride! I have been given a big headstart on this build by virtue of being given a nearly complete body/roof for a luggage composite (diagram 6 for those in the know). This was scratchbuilt by the late Barry Fleming in the 1980s and is a class bit of modelling! Barry gave it to my father, along with a couple of other coaches, to complete but as he has not managed to get this particular one, he has passed it to me to have a bash! 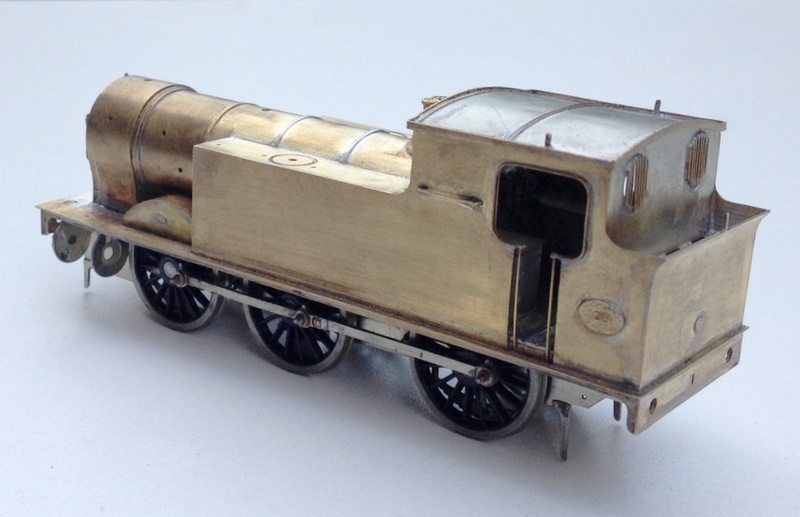 One of the reasons that this model was put to the back of the queue previously was that almost none of the parts required to complete it – in particular the bogies – were available, so it was all going to be a scratchbuild. As I was pouring over the drawings and pictures in the bible on things ECJS it dawned on me that the missing parts would be best dealt with as an etch and given my developing skills in etch designing, I might was well have a go. 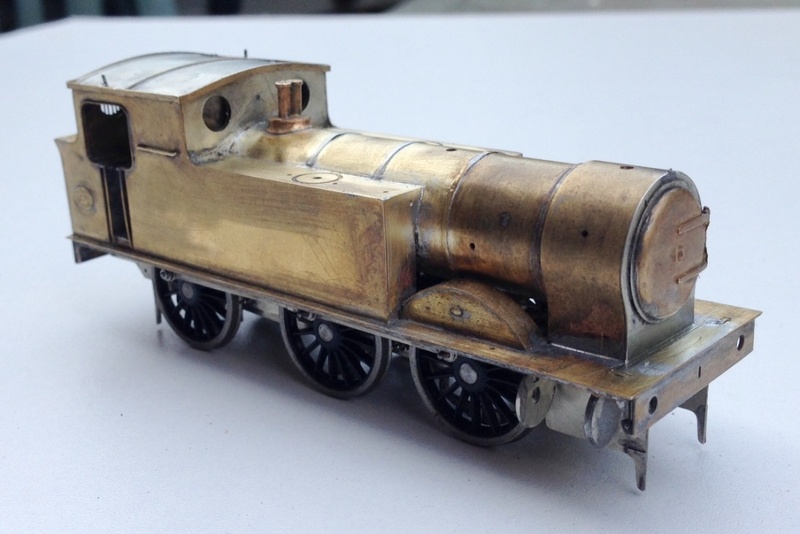 This is the product, an underframe, some cosmetic bogie sidesand some underframe details fresh back from the etchers. The basic underframe has fold up solebars and buffer beams. Each of these also has integral fold over layers to laminate on the cosmetic exterior. This just about worked for the solbars but definitely did not for the buffer beams which distorted due to their thinness. I will make these seperate pieces next time, but might use folding jigs. Coaches of this era tended to have four truss rods, each with a pair of queen posts. Stealing an idea from Alistair Wright’s designs, I made the queen posts up by a long etch that has a half etch length to wrap around the wire used for the tie rod. By folding this over the wire and then laminating the two parts together, a robust and simple post can be created. As it is two layers soldered together, it has the strength to allow it to be filed to a round shape to create the appearance of the original. Although originally gas lit, by the time I will be modelling this vehicle it was electrically lit. Whilst I probably could have bought cast batter boxes, I decided to include them in the etch and very pleased I am too – they have come out much more crisp than any of the castings I have seen and were really easy to both draw and make. The remainder of the fittings seen here were bought in castings though, typically from Comet Models (now distributed by Wizard Models). And this is where the underframe has presently progressed to. I will describe the building of the bogies in the next installment, they are not for the faint-hearted! Next up is the finishing of the detailing of the cab. Common with many tank engines there were grilles over the rear windows. For these, I toyed with the idea of doing these as a single etch, a bit like the Mainly Trains one (and possibly others) but elected instead that the slight roundness of the bars needed to be captured, so this meant that brass rods were going to be required. If I had either etched small holes or soldered these on top of the cab etch, I felt that getting consistency of spacing was unlikely and that this would detract from the finished effect. Thus, it was time for a little jig. You will note that in the picture above, I have trimmed the wire rods to a gentle curve to reflect the curve of the spectacle plate and in the picture below, this has been soldered on the ring around the window. 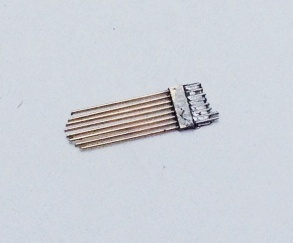 The jig is then snipped off and the rods can be cut away. I found that by using a scalpel, it was possible to cut a nick in the rods and then the wire could be carefully lifts so that it snapped at the point of the nick. 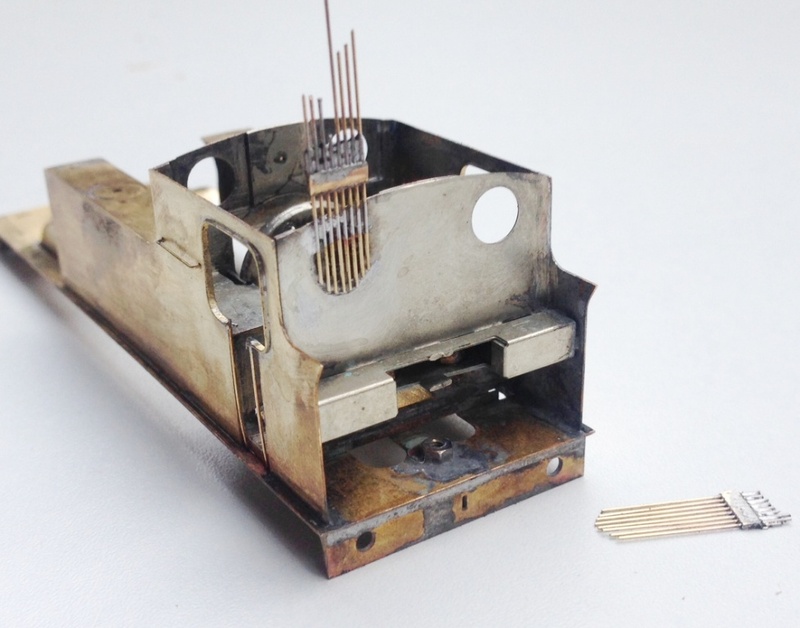 It was necessary to ensure that the rods were soldered well to the sides as if this joint failed it was then pretty difficult to get them soldered back down neatly; I will include a space jig in the production etch of the kit to give the user a second chance! 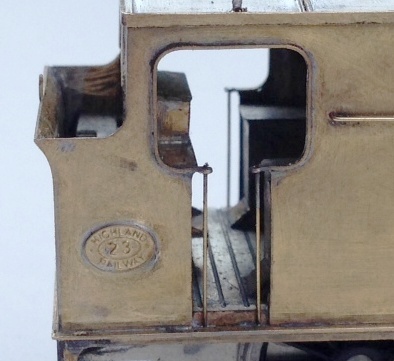 There is also a beading around the cab side openings, a common feature on pre-grouping locomotives. This was relatively simple to fit, although I did make it a tad too fat deliberately to assist in the process – it can then be filled back to a thinner dimension and in the process any slight irregularities taken away in the filing. In this example the stanchions are probably a bit far away from the cab sheets, so there will be a slight adjustment on the final version. Also worthy of note is the cabside number plate, which I am dead chuffed with. This is a cruel enlargement as the whole plate is only 6mm across and to clearly be able to read the text which is only 0.7mm high is pretty good I reckon! After finishing the cab detailing, it was time to add the boiler onto the tanks/running plate and she is beginning to look like the real thing, although perhaps looking a little naked due to the missing dome and chimney at present! 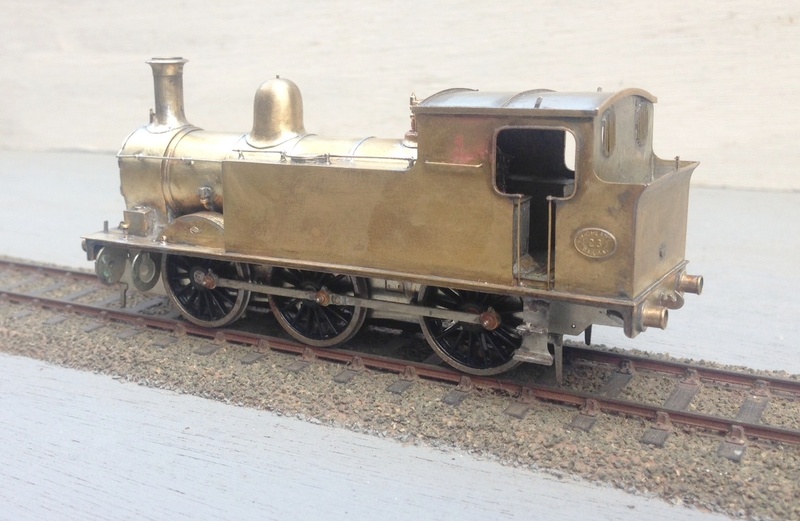 I have fitted a safety valve bonnet and safety valves from those intended for the Strath/Loch and available from Lochgorm Models. I also formed the front splashers, which I had tried to make easier by the use of some tabs and formers. These did assist in the assembly but I then found that they fouled with the wheels, as I had made the splashers true to scale and the tolerances did not allow for the tabs. I will have another think here and might come up with a jig, as splashers are sometimes a bit painful to fit. And this is what she presently looks like; definitely beginning to look like the real thing (a reminder of which is below). For those of you that are coming to Scalefour North I will bring her along for you to have a look at. As we are now about up to date with her construction (you didn’t think I can build that quickly did you?!?!) and because I am away the whole of this weekend at Scalefour North, there will be a hiatus a bit before the next posting.